Judo is a modern Olympic sport originating in Japan, which uses techniques and quick reflexes to get another partner off balance and take them down to the mat. It combines the ancient culture of the orient with today’s concept of sport, fair play, sense of achievement and the fun of taking part. WHO CAN PLAY JUDO ? 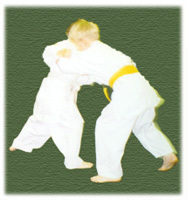 Children of all ages from five upwards, both boys and girls can practice judo together. It is very much a group activity. Judo helps physical fitness, co-ordination, discipline, self control and reduces aggressive behaviour. It also develops confidence and encourages interaction with other children. 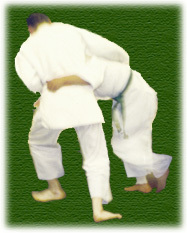 Judo is played on a special matted area. Children may start the course in a tracksuit or similar loose clothing, however a proper judo suit can be purchased from the instructor if so required. The reasons for this are SAFETY and A SENSE OF BELONGING. We can supply a judo suit (judo gi) for your child prices start at twenty one pounds fifty. Tuition fees and booking details upon request.